We’re all on a hunt for the perfect product to get our teeth whiter but waiting for gradual treatments can often be a little… well, boring. 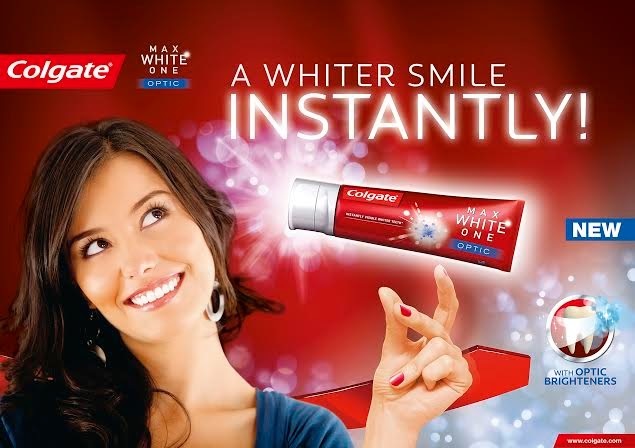 Colgate MaxWhite ONE Optic is a new product which claims to get teeth looking instantly whiter*. It is the only toothpaste in the UK to use optical Brightening technology helping achieve an instantly brighter smile*. To celebrate the launch, Colgate are offering my reader the chance to win £100 of ASOS vouchers to treat themselves to a new outfit to match their smile. -The closing date is stated on the entry mechanic.-Only one entry per prize draw/competition, per person. -All prizes are subject to availability, and A Little Obsessed reserves the right to replace the prize with an alternative product or colour of equal or higher value if necessary at the promoters’ discretion. – Competitions are only open to UK residents aged 18 years or over. – Winner(s) will be selected at random after the closing date by an independent judge from all entries received. The judge’s decision is final and no correspondence will be entered into. – Winner(s) will be notified by email or telephone (using the details provided at entry) within 6 weeks of the closing date. Following such notification, the winner will be required to send the Promoter full details of their postal address to which the Prize will be delivered (if applicable). – If the Promoter cannot: (i) contact the winner (via the details provided at the date of entry) within a reasonable period of time (to be established at the Promoter’s sole discretion); or (ii) the winner does not return details of its postal address to the Promoter within 14 days of notification that they have won the Prize, the Promoter reserves the right to re-draw a winner of the Promotion and thereafter until a winner on these terms is found. – Please allow 28 days for delivery of the Prize unless relevant to an event closer to the time. The Promoter accepts no responsibility for the Prize being lost, damaged or delayed in the post. We are all a quest for whiter teeth and most of us are quite addicted to whitening tooth paste. Colgate MaxWhite One has white accelerator micro-crystals to help safely remove stains and prevent tartar build-up to help achieve whiter teeth in just one week. As a smile never goes out of fashion Colgate have teamed up with Elite Model look 2013 and are even giving away the chance to win a holiday for 4 people and a modelling contract! 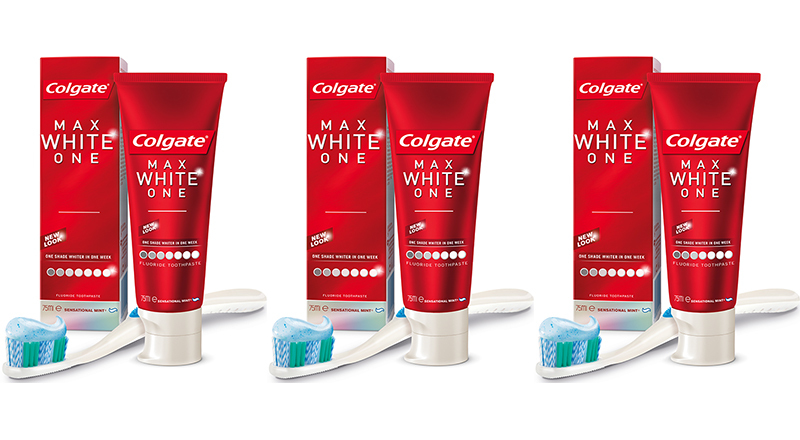 Visit the Colgate Max Website or Elite London Facebook Page to find out more details. I am also giving away 3 Colgate ProClinical Brushes worth £165 along with the Colgate MaxWhite One products!